I would like to watch the film Trance on DVD, which is directed by Danny Boyle,and has been described as a very enjoyable thriller in which. James Mcavoy plays an auctioneer named Simon, who works in a prestigious auction house and takes part in a robbery, in order to steal a priceless painting for gangster Vincent Cassell. However the painting mysteriously vanishes and he has to convince his employees and the criminals that he doesn’t know anything. Unfortunately though Simon has an accident during which he is hit on the head, causing amnesia, and he forgets where he has hidden the painting. So Cassell and his gangsters then go to a psychiatrist played by Rosario Dawson who hypnotises Mcavoy in an attempt to unlock his memories and get him to remember what happened to the painting. Trance’ has been described as part `Shallow Grave’, part `Inception’, and all kinds of crazy drama, which is set in the real world, but also the world of potentially false memories. Boyle twists the plot around like a Chubby Checker convention and you don’t know if you are coming or going, what is real or not. .In 1842, Emily accompanied Charlotte to Brussels, Belgium,where they attended a girls’ academy run by Constantin Heger. They planned to perfect their French and German in anticipation of opening their school.In 1844, Emily began going through all the poems she had written, recopying them neatly into two notebooks. One was labelled “Gondal Poems”; the other was unlabelled. Scholars such as Fannie Ratchford and Derek Roper have attempted to piece together a Gondal storyline and chronology from these poems. In the autumn of 1845, Charlotte discovered the notebooks and insisted that the poems be published. Emily, furious at the invasion of her privacy, at first refused, but relented when Anne brought out her own manuscripts and revealed she had been writing poems in secret as well.In 1846, the sisters’ poems were published in one volume as Poems by Currer, Ellis, and Acton Bell. The Brontë sisters had adopted pseudonyms for publication: Charlotte was Currer Bell, Emily was Ellis Bell and Anne was Acton Bell. Charlotte wrote in the “Biographical Notice of Ellis and Acton Bell” that their “ambiguous choice” was “dictated by a sort of conscientious scruple at assuming Christian names positively masculine, while we did not like to declare ourselves women, because we had a vague impression that authoresses are liable to be looked onwith prejudice. 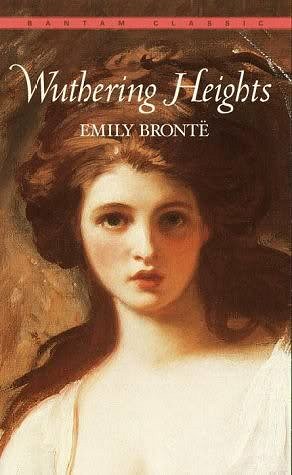 In 1847, Emily published her novel, Wuthering Heights, as two volumes of a three-volume set (the last volume being Agnes Grey by her sister Anne). Its innovative structure somewhat puzzled critics at the time, and Although it is considered a classic of English literature today, Wuthering Heights met with mixed reviews and controversy when it first appeared, mainly because of the narrative’s stark depiction of mental and physical cruelty and amoral passion,It takes place at a Yorkshire manor on the moors and centres on the all-encompassing, passionate, but ultimately doomed love between Catherine Earnshaw and Heathcliff, and how this unresolved passion eventually destroys them and the people around them.and the book subsequently became an English literary classic.Although Charlotte Brontë’s Jane Eyre was generally considered the best of the Brontë sisters’ works during most of the nineteenth century, many subsequent critics of Wuthering Heights argued that it was a superior achievement. Wuthering Heights has also given rise to many adaptations and inspired works, including films, radio, television dramatisations, a musical by Bernard J. Taylor, a ballet, three operas (respectively by Bernard Herrmann, Carlisle Floyd, and Frédéric Chaslin), a role-playing game, and the 1978 chart topping song by Kate Bush.Sadly Emily’s health, like her sisters’, had been weakened by unsanitary conditions at home, the source of water being contaminated by runoff from the church’s graveyard.She became sick during her brother’s funeral in September 1848. Though her condition worsened steadily, she rejected medical help and all proffered remedies, saying that she would have “no poisoningdoctor” near her. She eventually died of tuberculosis, on 19 December 1848 at around two in the afternoon. She was interred in the Church of St. Michael and All Angels family vault, Haworth, West Yorkshire. Dutch post-Impressionist painter Vincent Willem van Gogh sadly passed away 29 July 1890 at the age of 37 years old in Auvers-sur-Oise, France. Van Goch was born 30th March 1853, his work is notable for its rough beauty, emotional honesty and bold color, had a far-reaching influence on 20th-century art. 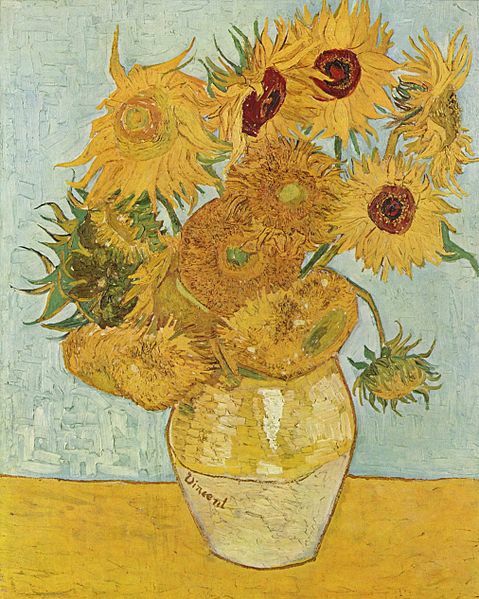 After years of painful anxiety and frequent bouts of mental illness, he died aged 37 from a gunshot wound, generally accepted to be self-inflicted (although no gun was ever found).His work was then known to only a handful of people and appreciated by fewer still.Van Gogh began to draw as a child, and he continued to draw throughout the years that led up to his decision to become an artist. He did not begin painting until his late twenties, completing many of his best-known works during the last two years of his life. In just over a decade, he produced more than 2,100 artworks, consisting of 860 oil paintings and more than 1,300 watercolors, drawings, sketches and prints. His work included self portraits, landscapes, still lifes, portraits and paintings of cypresses, wheat fields and sunflowers. Van Gogh spent his early adulthood working for a firm of art dealers, traveling between The Hague, London and Paris, after which he taught for a time in England. One of his early aspirations was to become a pastor and from 1879 he worked as a missionary in a mining region in Belgium where he began to sketch people from the local community. In 1885, he painted his first major work The Potato Eaters. His palette at the time consisted mainly of somber earth tones and showed no sign of the vivid coloration that distinguished his later work. In March 1886, he moved to Paris and discovered the French Impressionists. Later, he moved to the south of France and was influenced by the strong sunlight he found there. His work grew brighter in color, and he developed the unique and highly recognizable style that became fully realized during his stay in Arles in 1888. The extent to which his mental health affected his painting has been a subject of speculation since his death. Despite a widespread tendency to romanticize his ill health, modern critics see an artist deeply frustrated by the inactivity and incoherence brought about by his bouts of illness. According to art critic Robert Hughes, Van Gogh’s late works show an artist at the height of his ability, completely in control and “longing for concision and grace”. John Sykes, English singer-songwrite and guitarist with the bands Thin Lizzy, Whitesnake, Tygers of Pan Tang, and Blue Murder was born 29 July 1959.Thin Lizzy were formed in Dublin in 1969. Two of the founding members, drummer Brian Downey and bass guitarist/vocalist Phil Lynott, met while still in school. Lynott assumed the role of frontman and led them throughout their recording career of twelve studio albums. Thin Lizzy are best known for their songs “Whiskey in the Jar”, “Jailbreak” and “The Boys Are Back in Town”, all major international hits still played regularly on hard rock andclassic rock radio stations. After Lynott’s death in 1986, various incarnations of the band have emerged over the years based around guitarists Scott Gorham and John Sykes, though Sykes left the band in 2009. Lynott, Thin Lizzy’s de facto leader, was composer or co-composer of almost all of the band’s songs, and the first black Irishman to achieve commercial success in the field of hard rock music. Thin Lizzy boasted some of the most critically acclaimed guitarists throughout their history, with Downey and Lynott as the rhythm section, on the drums and bass guitar. As well as being multiracial, the band drew their members not only from both sides of the Irish border but also from both the Catholic and Protestant communities during The Troubles. Their music reflects a wide range of influences, including blues, soul music, psychedelic rock, and traditional Irish folk music, but is generally classified as hard rock or sometimes heavy metal. Rolling Stone magazine describes the band as distinctly hard rock, “far apart from the braying mid-70s metal pack”. Allmusic critic John Dougan has written that “As the band’s creative force, Lynott was a more insightful and intelligent writer than many of his ilk, preferring slice-of-life working-class dramas of love and hate influenced byBob Dylan, Van Morrison, Bruce Springsteen, and virtually all of the Irish literary tradition.” Van Morrison, Jeff Beck and Jimi Hendrix were major influences during the early days of the band, and later influences included the pioneering twin lead guitars found in Wishbone Ash and American artists Little Feat andBob Seger.In 2012, Gorham and Downey decided against recording new material as Thin Lizzy so a new band, Black Star Riders, was formed to tour and produce new releases such as the All Hell Breaks Loose album. Thin Lizzy plan to reunite for occasional concerts. British rock band,Tygers of Pan Tang were formed in 1978 and originate from Whitley Bay, England. They are a notable band of the New Wave of British Heavy Metal movement. The band is named after the pets of the Wizards of Pan Tang – an elite group of chaos-worshipping warriors from Michael Moorcock’s Elric of Melniboné stories.Tygers of Pan Tang are a heavy metal band, formed in 1978 and originating from Whitley Bay, England. They are a notable band of the New Wave of British Heavy Metal movement. The band is named after the pets of the Wizards of Pan Tang – an elite group of chaos-worshipping warriors from Michael Moorcock’s Elric of Melniboné stories.Tgers of Pan Tang are a formed in 1978 and originating from Whitley Bay, England. They are a notable band of the New Wave of British Heavy Metal movement. The band is named after the pets of the Wizards of Pan Tang – an elite group of chaos-worshipping warriors from Michael Moorcock’s Elric of Melniboné stories.